Nashville Surgical Associates > Doctors > Sirinya Prasertvit, M.D. Dr. Prasertvit is a board certified General Surgeon who has recently joined Nashville Surgical Associates. Dr. Prasertvit was born and raised in Baton Rouge, Louisiana. She also spent part of her childhood in Thailand where her parents are originally from. She earned her undergraduate degree from Penn State University including a minor in Health Policy and Administration and subsequently attended and graduated from University of Tennessee Health Science Center, Memphis College of Medicine. She completed her residency training in comprehensive general surgery at the University of Tennessee, Memphis. Tennessee has now become her home and practice location ever since she moved here for medical school. She is a fellowship member of the American College of Surgeons, member of Tennessee Medical Association, American Society of Breast Surgeons, American Association of Endocrine Surgeons, and Society of American Gastrointestinal and Endoscopic Surgeons. 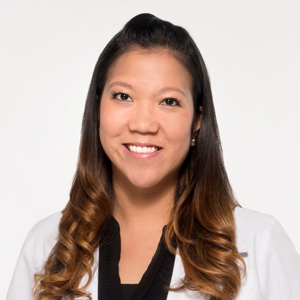 Dr. Prasertvit considers it a privilege to take care of her patients and their families like she would her own family. Outside of medicine she is an avid college football fan and enjoys food whether it be cooking or trying new restaurants and recipes. She is a lover of animals including two of her own rescue dogs, Joycee and Nadia. When not working, she spends as much time as she can with her family and friends outdoors.